Formulating clean, delicious nutrition products is Dr Andrew Abraham's life work. Literally. As a cancer survivor and medical doctor, she has firsthand experience with the critical importance of organic, wholesome nutrition and the vital role it plays in supporting the body in times of stress. She made it her mission to formulate a drink that would actually make a difference in my health. 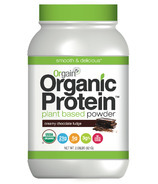 It had to be certified organic, lower in sugar, high in organic protein, and also be free of artificial sweeteners, preservatives and colorings. 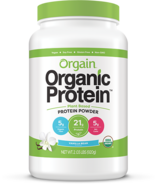 Today, they've expanded the Orgain line to include plant-based protein powder, grass-fed whey protein, nutritional shakes for kids and vegans, and even plant-based protein bars.